We have a busy month ahead of us and you don't want to miss out! Bring your ugly sweater and a friend, $10 gift exchange, snacks will be provided and beer will be available to purchase. For this months program owner Steve Thorson of Montana Honeybee Company will be talking to us all about the bee business. Steve and his wife, Joyce opened the Montana Honeybee Company in the summer of 2016. The couple currently maintains 65 buzzing boxes, each producing 60 pounds to 120 pounds of honey per harvest. Their shop sells local honey and honey from around the United States; infused, raw and creamed honeys, lotions, soaps and waxes, as well as beekeeping supplies. Come learn all about about the buzz this December! December 12th from 4:00-8:00pm Since many of us will be coming from work, we realize this 4:00 PM might not be feasible, so join as soon as you can! We will even provide food! Come help sort through toys for the Hope and the Holidays toy distribution. This is an organization that provides toys and gifts to over 1600 kids and families in Gallatin, Park, Madison, Sweet Grass, Jefferson & Broadwater Counties. This organization not only gives toys to those in need, they are also involved in providing gifts, food & clothing to families in need during the Holidays, and year-round. 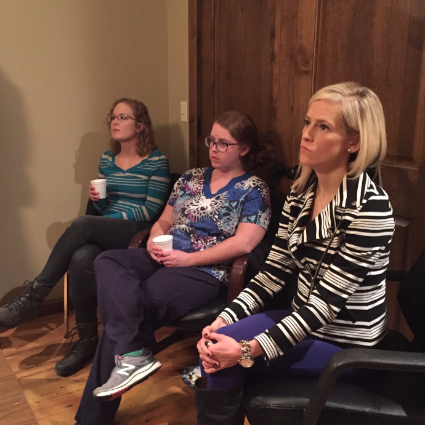 A huge thank you to all those who joined us for our November Events! 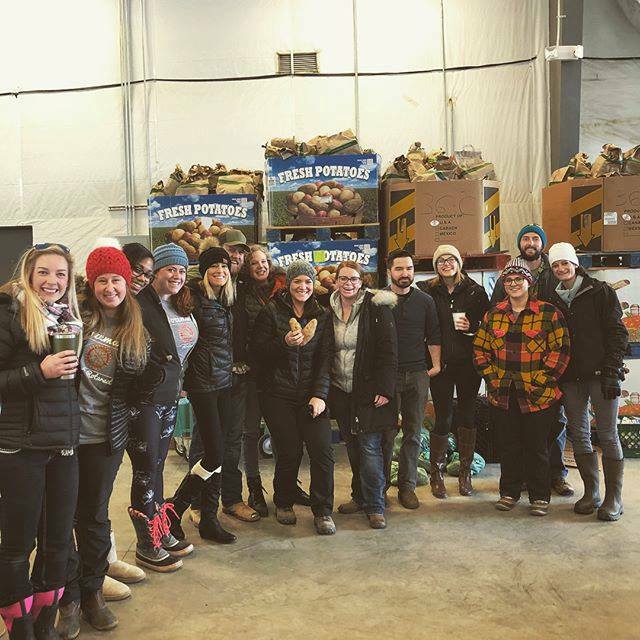 We helped the Gallatin Valley Food bank prep distribution boxes for Thanksgiving. Pam McCutcheon of Small Dog Realty shared marketing strategies and her success in Real estate. We enjoyed our Social event with the Sunrise Rotary club at the MSU's Bobcat football game! Join us at our sponsor club meetings! Dec 22, 2017 - No Meeting, Happy Holidays! Dec 29, 2017 - No Meeting, Happy Holidays! Copyright © *|CURRENT_YEAR|* Bozeman Rotaract, All rights reserved.